For the first time in history, Underware will conduct a type workshop in Brazil. They will hit Rio de Janeiro on 22 & 23 Oct for a short, but über-intensive workshop. During this 2-day workshop you can learn the basic principles of type design. Although you won’t even realize that, because you will be too busy with making your own typeface. By the end of the day you might realize that you didn’t check Facebook, because there are more interesting things in life. Typefaces for example. Or being part of this stream of typographic energy. If you ever wondered how type works and how it is made, this is the moment you can figure that out. The workshop takes 2 full days, and will end with a lecture in the evening on Dutch type design combined with a presentation of the workshop results. Limited seating, so don’t wait too long with subscribing if you are interested in this workshop: subscribe or email typeworkshop.x26@gmail.com. Let’s show the Brazilians why the Dutch are too much. Summarizing 5 centuries in less than two hours? Yeah, right. Because type from the Low Countries is as good as Dutch football: 90 minutes of gallery play. 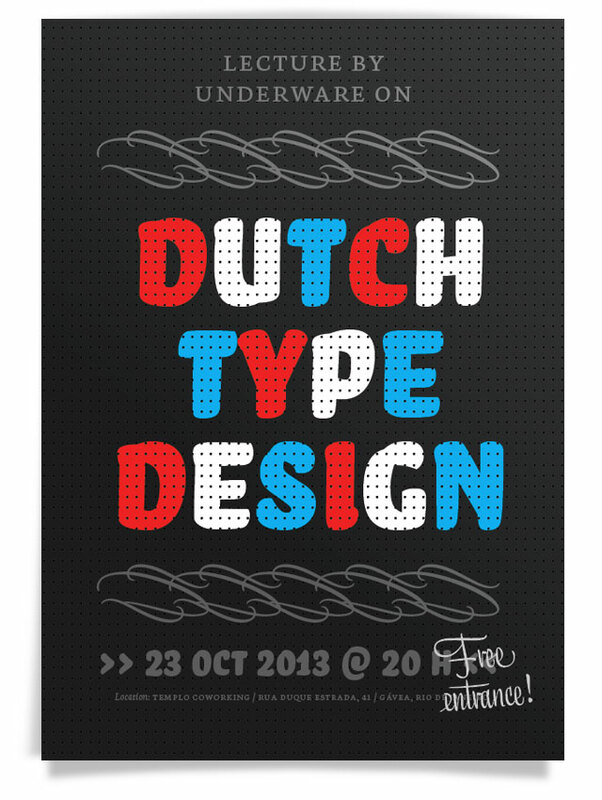 Lecture by Underware on Dutch Type Design. 23 Oct 2013 at 8 pm.